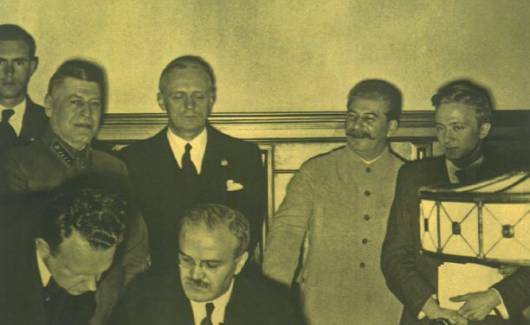 23 August, the day in 1939 when Ribbentrop and Molotov signed the Nazi- Soviet Non-Aggression Pact, gained international recognition in the 1980s. First, in North America, political émigrés from the Soviet Bloc staged public ‘Black Ribbon Day’ ceremonies; this was followed by demonstrations in the Baltic republics of the USSR, culminating in the ‘Baltic Chain’ from Tallinn via Riga to Vilnius in 1989. After the Eastern Enlargement of the European Union in 2004, deputies from Poland, Hungary, the Czech Republic, the Baltic States and other new member countries in the European Parliament identified 23 August as the lowest common denominator of the enlarged EU’s politics of history. In a discussion process lasting from 2009 to 2011, the Parliament, the Commission and finally the Council of the EU defined 23 August as a ‘Europewide Day of Remembrance of the Victims of Totalitarian Regimes’. The fact that the Polish state ceremony at Westerplatte in Gdańsk on 1 September 2009 attracted worldwide media attention – with German Chancellor Angela Merkel and Russian Prime Minister Vladimir Putin as the most prominent guests of Polish Prime Minister Donald Tusk – makes this statement just as striking as that of the classification of Jan Rydel, Zernack’s Polish colleague, of 1 September as ‘from the Polish point of view the deepest watershed of the 20th century’.3 In other words, as opposed to 1 September, 23 August is of secondary importance, and this in Poland itself, whereas from the ‘Western European’ perspective it is seen as a primarily, albeit not exclusively (Central and) Eastern European matter. 4 Even in Germany, the former treaty partner, amid the circus of the 20th anniversary of the ‘Peaceful Revolution’, the 70th anniversary of the Treaty of Non-Aggression between Germany and the Soviet Union, together with the Secret Protocol on the amicable division of Eastern Europe into spheres of influence, was greeted in interested circles with so little media interest that a group of political figures, historians, and intellectuals dealing in history and memory felt compelled to publish an appeal titled ‘Celebrating the year 1989 also means remembering 1939’, and to describe this explicitly as a ‘Declaration to mark the 70th anniversary of the Hitler-Stalin Pact on 23 August 2009’. 5 While this appeal was received with great public interest in Poland, 6 in Germany, to a large degree, it typically enough went unnoticed. In the subsequent debate, described by the conservative Polish member Wojciech Roszkowski as ‘perhaps the most important debate on European identity that has been held for years’, the French communist Francis Wurtz spoke vehemently against ‘excusing the Nazi atrocities by pointing the finger at Stalinist crimes’, since ‘Nazism was neither a dictatorship nor a tyranny like any other, but rather the complete break with society as a whole’. 2. The totalitarian communist regimes which ruled in central and eastern Europe in the last century, and which are still in power in several countries in the world, have been, without exception, characterised by massive violations of human rights. The violations have differed depending on the culture, country and the historical period and have included individual and collective assassinations and executions, death in concentration camps, starvation, deportations, torture, slave labour and other forms of mass physical terror, persecution on ethnic or religious grounds, violation of freedom of conscience, thought and expression, of freedom of the press, and also lack of political pluralism. 11. The Council of Europe is well placed for such a debate at international level. All former European communist countries, with the exception of Belarus, are now members, and the protection of human rights and the rule of law are basic values for which it stands. 12. Therefore, the Assembly strongly condemns the massive human rights violations committed by the totalitarian communist regimes and expresses sympathy, understanding and recognition to the victims of these crimes. 13. Furthermore, it calls on all communist or post-communist parties in its member states which have not yet done so to reassess the history of communism and their own past, clearly distance themselves from the crimes committed by totalitarian communist regimes and condemn them without any ambiguity. It is notable that this declaration was passed by an assembly that included members of the communist parties of France, the Russian Federation, Greece and other states, as well as numerous representatives of post-communist parties from Bulgaria, Germany, Poland and elsewhere, without such highly ideologised debates as occurred in the European Parliament the previous year. It is difficult to say whether in doing this the MEPs simply overlooked the fact that on the list of international days of remembrance 23 August had already been ‘taken’ by UNESCO in 1998, which declared it the ‘International Day of Remembrance of the Slave Trade and its Abolition’ with reference to a slave uprising in Santo Domingo in 1791, 28 or whether this coincidence was consciously taken into account. In any case, duplications of days of remembrance by different international organisations are nothing unusual. One month later the European Parliament took a further step in terms of the politics of memory which was unusual in involving, in contrast to the 2006 debate on the Franco dictatorship, not a member country of the EU, but a non-member state, namely Ukraine. The ‘European Parliament resolution of 23 October 2008 on the commemoration of the Holodomor, the Ukraine artificial famine (1932-1933)’ served primarily to support the reforms of the Ukrainian president and ‘hero’ of the ‘Orange’ democracy movement, Viktor Yushchenko, yet on the other hand showed an approach that was construed as hostile in Russia, for it stated that ‘the Holodomor famine of 1932-1933, which caused the deaths of millions of Ukrainians, was cynically and cruelly planned by Stalin’s regime in order to force through the Soviet Union’s policy of collectivisation of agriculture against the will of the rural population in Ukraine’, and called on ‘the countries which emerged following the break-up of the Soviet Union to open up their archives on the Holodomor in Ukraine of 1932-1933 to comprehensive scrutiny so that all the causes and consequences can be revealed and fully investigated’. 29 Even if the Holodomor was not, in accordance with the terminology prescribed by the Ukrainian president, described as genocide (henotsyd), but ‘only’ as ‘an appalling crime against the Ukrainian people, and against humanity’, the declaration was interpreted by authorities in the field of the politics of history in Moscow as a challenge and ‘interference’ in post-Soviet ‘domestic affairs’.30 A further reason for the increased attention devoted by the EU with regard to coming to terms with the past à la russe alongside the developments in Ukraine was the Russian-Estonian conflict, which was triggered by the powerful protest that Moscow issued in response to the moving of a Soviet war memorial in 2007 in Tallinn, the capital of the EU member state Estonia.31 The way in which Russia tried to force its small neighbour to conform to its own memory narrative not only led to surprise and criticism within EU circles, but also provoked infuriation towards the attitude of Estonia and its kowtowing to Moscow. With this resolution, whose numerous demands were, as will be shown, generally accepted in 2010 by the Commission and in 2011 by the Council of the EU, the European Union proclaimed itself the central authority for the politics of history with pan-European responsibility and competence, thus de facto withdrawing another policy area from the Council of Europe - which had in any case been fading since 2004 in terms of competences, and in the politics of history had frequently been thwarted by Russia and Turkey. This became possible first because of the greater legitimacy, better infrastructure and incomparably greater financial resources of Brussels, and second as a result of the fact that the Central and Eastern European initiatives regarding the politics of history within the EU framework did not meet the resistance of Russia. The resolution was passed with 213 votes in favour to eight against, with four abstentions. However, 93 members, probably including all the Russians, Kazakhs, Tajiks, Uzbeks, Turkmens, Kyrgyz and most of the Ukrainians, Azerbaijanis and Armenians, did not take part in the vote. The protests from Moscow appeared particularly weak as they came only from the Duma. The reason for this was the dramatic changes that were taking place in the domestic and external politics of history of the Russian Federation in the summer of 2009. Since the declaration of the European Parliament regarding 23 August made on 23 September 2008, a whole series of bodies dealing with the politics of history in Russia had realised that the transatlantic anti-Hitler coalition, which apart from a few cracks and breaches was still visible on 9 May 2005 at the ceremony in Red Square to commemorate the 60th anniversary of the unconditional surrender of Nazi Germany, was now crumbling. While in Moscow in 2005 only the Latvian president, Vaira Vīķe-Freiberga, had demanded an apology from Russia for the Molotov- Ribbentrop Pact (as well as for the renewed annexation, camouflaged as ‘liberation’, of the Baltic States by the USSR in 1944),39 the parliament of a European conglomerate of states numbering 27 members as well, indirectly, as the parliamentary pillars of the OSCE, were now proclaiming 23 August as a pan-European day of remembrance. And this was done with some success, as the 70th anniversary of the Molotov-Ribbentrop Pact in 2009 was celebrated publicly not only by the countries that were in Russian eyes the ‘usual suspects’ – Estonia, Latvia, Lithuania, Poland, Romania, Moldova and Georgia – but moreover by Sweden, Slovenia, the Czech Republic and even Bulgaria as well. 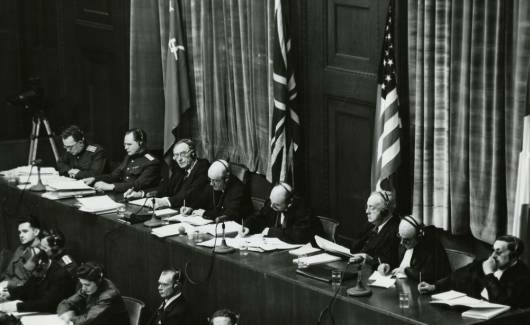 The remembrance day then acquired a transatlantic dimension a few weeks later through the unanimously passed resolution of the Canadian lower chamber of 30 November 2009, which declared that they were cognisant of the ‘infamous pact between the Nazi and Soviet Communist regimes’, and that 23 August would be the ‘Canadian Day of remembrance of the victims of the Nazi and Soviet atrocities’, designated as ‘Black Ribbon Day’. The anchoring that has now occurred of 23 August as an ‘anti-totalitarian’ international day of remembrance, which Russian diplomacy was unable to prevent, has had two entirely different, indeed opposite effects: firstly, Russia reacted by isolating itself and displaying aggressive outward signals, and secondly came a reinterpretation of the country’s own imperial and national history based on a new orientation of the politics of history that were accompanied with clear signs of a readiness to make outward concessions.43 The latter tendency was carried forward by an internal Russian debate, also culminating in 2009, on the topic of ‘victory without Stalin?’ Was Stalin the ‘architect of the victory’ of 9 May 1945, or did the Russian ‘people’ – or to use the earlier term ‘the peoples of the Soviet Union’, or as it is now called, the ‘Russian nation’44 – achieve this victory ‘in spite of Stalin’? This question was accorded a double significance when ‘the victory’ in the ‘Great Patriotic War 1941-1945’ was also ascribed the function of a foundation myth of the Russian Federation – once the use of the Soviet founding myth of the ‘Great Socialist October Revolution’ was discontinued for reasons of ideology. In other words: in the Russian discourse on the Soviet-German pact whose name there is known in the order ‘Ribbentrop-Molotov’, together with the Secret Protocol, the question was and remains not only the role to be ascribed to Stalin in the official national memory of the war, but much more the raison d’être of this, the largest product of the break-up of the Soviet Union, and the cement of an identity bound by memory that is intended to hold together the particularly disparate federation of Russians and numerous non-Russians. As a result, within three years the project of the proclamation of 23 August, a Europe-wide day of remembrance had successfully negotiated the path through the EU bodies – from the Parliament, via the Commission, to the Council. And so, together with the resolution of the Canadian parliament from 2009, the last stage of the rise of the Molotov-Ribbentrop Pact as a Euro-Atlantic lieu de mémoire, together with the remembrance day of 23 August, was complete. The first stage was the time of perestroika, leading to the negotiated transitions of 1989. The second, in the 1990s, was that of the European Council’s dealing with the legacy of the ‘ totalitarian communist regime’. The third began in 2004, with the accession of the Central and Eastern European states to the EU and the subsequent debates in the European Parliament. The fourth was the stage described above, lasting from 2008 to 2011. All of this influenced the domestic as well as the external policy of the Russian Federation in an increasingly polarising sense: the European Parliament’s call to declare 23 August as a Europe-wide day of remembrance led in the build-up to the 70th anniversary of the Molotov-Ribbentrop Pact in Russia to a battle for authority over interpretation between the nationalist idolisers of Stalin and the power pragmatists, who viewed themselves as liberals, in which President Medvedev, who to date has in the public space been numbered among the latter camp, was able to come out on top. While the Molotov-Ribbentrop Pact has by no means lost its quality as an expressly non-site of memory in the CIS (with the exception of Moldova), it is no longer a taboo subject in Russia’s external memory politics. The reasons for this include the debate raging internally in Russia since 2011 about what is now known as the de-Stalinisation (destalinizaciya) of the country; the palpable improvement in Russian-Polish relations since 2009 – strengthened since the Smolensk plane disaster of April 2010, and including the subject of Katyń, which is comparable in its shattering effect to the 1939 Pact; the German-Russian special relationship, recently described as a ‘modernisation partnership’; and finally the debates in the pan-European forums of the European Council and the OSCE – and especially the intensified activities of the European Union since 2004 in the field of the politics of history. It is important to emphasise once again, however, that only in exceptional cases do the negotiations at the EU, OSCE and European Council level and their effects, in terms of the politics of history, have repercussions in the media, public sphere and politics (as well as in the academic study of memory). 53 The culture of remembrance in Europe as well as the rest of the world is first and foremost a national matter, which as a rule has few transnational common spaces. Like Europe Day on 9 May, or 27 January, 23 August as Black Ribbon Day or the European Day of Remembrance of the Victims of the Stalinist and Nazi Atrocities remains in the shadows of most national cultures of remembrance in the Northern Hemisphere. The fact that it has over the course of almost three decades even been anchored as such must, however, be assessed as a genuine success of pan-European /trans-Atlantic, and here primarily Central and Eastern European, politics of history and memory. The misgivings of intellectuals and academics, based on reasons pertaining to teaching about memory, on the perceived devaluation of 27 January, and even the implicit equation of the Holocaust on the one hand with the gulags, Holodomor and the Great Terror on the other, prove to be of little political importance given the broad transnational- parliamentary consensus of 23 August. Yet whether the new Euro- Atlantic day of remembrance will turn out to be of great significance in all or at least the majority of the cultures of memory of the national societies of Europe, Eurasia, and North America is a question to which the answer lies in the future. Prof. Dr. Stefan Troebst, University of Leipzig. Born in 1955 in Heidelberg, 1974-1984 Studies in History, Slavic Studies, Balkanologie and Islamic Studies at the Free University Berlin and at the universities of Tübingen, Sofia (Bulgaria), Skopje (Yugoslavia, now Macedonia) and at Indiana University Bloomington, (USA) 1984; 1984-1992 Wiss. Staff and Assistant Professor of East European History at the Eastern European Institute at the Free University of Berlin, Since 1999, Professor of Cultural Studies at the University of Leipzig, East Central Europe, also a senior fellow at Geisteswissenschaftliche Zentrum Geschichte und Kultur Ostmitteleuropas. 1 K. Zernack, ‘1. September 1939: als hochstes Stadium “Negativer Polenpolitik”’, in: E. Francois and U. Puschner (eds), Erinnerungstage. Wendepunkte der Geschichte von der Antike bis zur Gegenwart (Munchen, 2010), pp. 305-318 and 437-440, here p. 317. 3 J. Rydel, ‘Der 1. September als ein Fokus der Erinnerung’, in: S. Raabe and P. Womela (eds), Der Hitler-Stalin-Pakt und der Beginn des Zweiten Weltkrieges / Pakt Hitler- Stalin i wybuch II Wojny Światowej (Warszawa, 2009), pp. 7-12, here p. 12. The Warsaw historian Jerzy Kochanowski, however, has at the same time pointed out that the Polish lieu de mémoire ‘1 September 1939’ has in the meantime been given stiff competition by that of ‘17 September 1939’ – the day of the Red Army invasion of eastern Poland – ‘The ‘German’ part of the Polish history of World War II has been pushed to the side to such a degree that one might gain the impression that the war began not on 1 September 1939, but 17 days later.’ Cf. id., ‘Der Kriegsbeginn in der polnischen Erinnerung’, in: Aus Politik und Zeitgeschichte 36-37 (2009), pp. 6-13, here p. 12. 4 S. Troebst, ‘Der 23. August 1939 – ein europaischer lieu de mémoire’, Osteuropa 59 (2009) 7-8, pp. 249-256, also www.eurozine.com, accessed: 30.06.2011. 5 ‘Das Jahr 1989 feiern, heist auch, sich an 1939 zu erinnern! Eine Erklarung zum 70. Jahrestag des Hitler-Stalin-Pakts’. Berlin, 23. August 2009, Die Zeit 35 (20.08.2009), pp. 22. See also www.23august1939.de, accessed 01.06.2011. You can also find versions in German, Russian, Polish, Czech and Hungarian here. 6 ‘Przepraszamy za 1939, dziękujemy za 1989. List niemieckich intelektualistow w 70. rocznicę II wojny światowej’, Gazeta Wyborcza, 21.08.2009, p. 1, wyborcza.pl, accessed 26. 06. 2011. 7 On this and other dividing lines in memory culture in Europe cf. C.S. Maier, ‘Heises und kaltes Gedachtnis. Zur politischen Halbwertzeit des faschistischen und kommunistischen Gedachtnisses’, in: Transit. Europäische Revue 22 (2001/2002), pp. 153-165; S. Troebst, ‘Holodomor oder Holocaust?’, Frankfurter Allgemeine Zeitung 152 (04.07.2005), p. 8; id., ‘Jalta versus Stalingrad, GULag versus Holocaust. Konfligierende Erinnerungskulturen im groseren Europa’, Berliner Journal für Soziologie 15 (2005), pp. 381-400; U. Ackermann, ‘Das gespaltene Gedenken. Eine gesamteuropaische Erinnerungskultur ist noch nicht in Sicht’, Internationale Politik 61 (2006) 5, pp. 44- 48; H.-A. Winkler, ‘Erinnerungswelten im Widerstreit. Europas langer Weg zu einem gemeinsamen Bild von Jahrhundert der Extreme’, in: B. Kauffmann and B. Kerski (eds), Antisemitismus und Erinnerungskulturen im postkommunistischen Europa (Osnabruck, 2006), pp. 105-116. 8 For the context cf. K. Hammerstein and B. Hofmann, ‘Europaische “Interventionen”: Resolutionen und Initiativen zum Umgang mit diktatorischer Vergangenheit’, in: K. Hammerstein et al. (eds), Aufarbeitung der Diktatur – Diktat der Aufarbeitung? Normierungsprozesse beim Umgang mit diktatorischer Vergangenheit (Gottingen, 2009), pp. 189-203; K. Hammerstein, ‘Europa und seine bedruckende Erbschaft. Europaische Perspektiven auf die Aufarbeitung von Diktaturen’, in: Werner Reimers Stiftung (ed. ), Erinnerung und Gesellschaft. Formen der Aufarbeitung von Diktaturen, Berlin (forthcoming). 9 Cf. essentially W. von Scheliha, ‘Der Pakt und seine Falscher. Der geschichtspolitische Machtkampf in Russland zum 70. Jahrestag des Hitler-Stalin-Pakts’ (in this volume) and id., ‘Die List der geschichtspolitischen Vernunft. Der polnischrussische Geschichtsdiskurs in den Gedenkjahren 2009-2010’, in: E. Francois, R. Traba and S. Troebst (eds), Strategien der Geschichtspolitik in Europa seit 1989 – Deutschland, Frankreich und Polen im internationalen Vergleich, Gottingen (forthcoming). See also T. Timofeeva, ‘“Ob gut, ob schlecht, das ist Geschichte”. Russlands Umgang mit dem Hitler- Stalin-Pakt’, Osteuropa 59 (2009) 7-8, pp. 257-271, and Jutta Scherrer’s contribution to this volume. 10 On this cf. the contributions of A. Bubnys, K. Wezel and K. Bruggemann in this volume. 11 Council of Europe, Parliamentary Assembly: Resolution 1096 (1996) on measures to dismantle the heritage of former communist totalitarian regimes. Strasbourg, 27 June 1996, assembly.coe.int, accessed 01.06.2011. 12 Council of Europe, Parliamentary Assembly: Motion for a Resolution on the Ribbentrop-Molotov Pact, presented by Mr Paunescu, Romania, UEL, and others. Strasbourg, 12 July 1995 (Doc. 7358), assembly.coe.int, accessed 01.06.2011. 13 European Parliament resolution on remembrance of the Holocaust, antisemitism and racism. Brussels, 27 January 2005, www.europarl.europa.eu, accessed 01.06.2011. For the background cf. H. Schmid, ‘Europaisierung des Auschwitz- Gedenkens? Zum Aufstieg des 27. Januar 1945 als “Holocaustgedenktag” in Europa’, in: J. Eckel and C. Moisel (eds), Universalisierung des Holocaust? Erinnerungskultur und Geschichtspolitik in internationaler Perspektive (Gottingen, 2008), pp. 174-202; Jens Kroh, Transnationale Erinnerung. Der Holocaust im Fokus geschichtspolitischer Initiativen (Frankfurt a. M./ New York, 2008); D. Levy and N. Sznaider, Erinnerung im globalen Zeitalter: Der Holocaust (Frankfurt a. M., 2001), pp. 210-216. 14 Resolution adopted by the General Assembly on the Holocaust Remembrance (A/RES/60/7, 1 November 2005), www.un.org, accessed 01.06.2011. 15 European Parliament, plenary debates. Strasbourg European Parliament. Plenary debates. Strasbourg, 11 May 2005, www.europarl.europa.eu, accessed 01.06.2011. 18 European Parliament resolution on the sixtieth anniversary of the end of the Second World War in Europe on 8 May 1945. Strasbourg, 12 May 2005, www.europarl.europa.eu, accessed 01.06.2011. 19 Putin o pakte Molotova-Ribbentropa: ‘Chorošo ėto bylo ili plocho – ėto istorija’, Regnum. Informacionnoe agentstvo (10.05.2005), http://www.regnum.ru/news/451397.html, accessed 29.06.2011. On this see also Jutta Scherrer’s contribution in this volume. 20 European Parliament. Plenary debates. Tuesday, 4 July 2006 – Strasbourg: 70 years after General Franco’s coup d’etat in Spain, www.europarl.europa.eu, accessed 01.06.2011. 21 Ibid. (Speech of the Social Democrat Martin Schulz.) The debate took place in the context of the ‘Recommendation 1736 (2006) Need for international condemnation of the Franco regime’, passed by the European Council on 17 March 2006. This had given Spain’s government detailed recommendations for dealing with the memory of the legacy of the Franco dictatorship of 1939 to 1975. Cf. Council of Europe, Parliamentary Assembly: Recommendation 1736 (2006) Need for international condemnation of the Franco regime. Strasbourg, 17 March 2006, http://assembly.coe.int/main.asp?Link=/documents/adoptedtext/ta06/erec1736.htm accessed 01.06.2011; K. Hammerstein and B. Hofmann, ‘Europaische ‘Interventionen’’, pp. 194-196. On the structural parallels of strategies for dealing with the past of the late and post-dictatorial periods between Southern Europe and Central and Eastern Europe see S. Troebst, Diktaturerinnerung und Geschichtskultur im östlichen und südlichen Europa. Ein Vergleich der Vergleiche (Leipzig: Leipziger Universitatsverlag, 2010), www.uni-leipzig.de/gesi/documents/working_papers/GESI_WP_3_Troebst.pdf, accessed 30.06.2011. 22 On this subject cf. B. Hofmann, ‘Europaisierung der Totalitarismustheorie? Geschichtspolitische Kontroversen um das ‘Schwarzbuch des Kommunismus’ und die Europaratsresolution zur ‘Verurteilung der Verbrechen totalitarer kommunistischer Regime’ in Deutschland und Frankreich’, in: id. et al. (eds), Diktaturüberwindung in Europa. Neue nationale und transnationale Perspektiven (Heidelberg, 2010), pp. 331-347; K. Hammerstein and B. Hofmann, ‘Europaische “Interventionen”’, pp. 196-202. 23 Council of Europe, Parliamentary Assembly: Resolution 1481 (2006) Need for international condemnation of crimes of totalitarian communist regimes. Strasbourg, 25 January 2006, assembly.coe.int, accessed 01.06.2011. 24 The Slovenian EU Presidency of the EU Council thus held a hearing on 8 April 2008 in Brussels, primarily with the participation of experts from Central and Eastern Europe, on the crimes of the totalitarian regimes, with communist state crimes being of central concern. On this cf. the comprehensive report by von Peter Jambrek (ed. ), Crimes Committed by Totalitarian Regimes. Ljubljana 2008, 316 pp. www.mp.gov.si, accessed 01.06.2011. 25 Prague Declaration on European Conscience and Communism. Prague, 3 July 2008, www.praguedeclaration.org, accessed 01.06.2011. 26 K. Hammerstein and B. Hofmann, ‘Europaische “Interventionen”’, p. 196. See also F. Wenninger and J. Pfeffer, ‘Total normal. Zur diskursiven Durchsetzung des Totalitarismus-Begriffs in Debatten des Europaischen Parlamentes’, Conference Papers, Momentum-Kongress 2010 (Hallstatt, 21.-24.10.2010) (forthcoming). However, even the influential Copenhagen document of the Conference on Security and Cooperation in Europe of 1990, passed at the climax of the euphoria over the collapse of communism in 1990, stated ‘The participating States clearly and unequivocally condemn totalitarianism’. Cf. Document of the Copenhagen Meeting of the Conference on the Human Dimension of the CSCE (Copenhagen, 29 June 1990), Point 40, http://www.osce.org/odihr/19394, accessed 01.06.2011. 27 Declaration of the European Parliament on the proclamation of 23 August as European Day of Remembrance for Victims of Stalinism and Nazism. Brussels, 23 September 2008, www.europarl.europa.eu, accessed 01.06.2011. 28 United Nations Educational, Scientific and Cultural Organization: 23 August: International Day for the Remembrance of the Slave Trade and of its Abolition, portal.unesco.org, accessed 01.06.2011. 29 European Parliament resolution of 23 October 2008 on the commemoration of the Holodomor, the Ukraine artificial famine (1932-1933). Brussels, 23 October 2008, www.europarl.europa.eu, accessed 01.06.2011. On the historical background cf. G. Kasianov, ‘The Great Famine of 1932-1933 (Holodomor) and the Politics of History in Contemporary Ukraine’, in: S. Troebst (ed. ), Postdiktatorische Geschichtskulturen im Süden und Osten Europas. Bestandsaufnahme und Forschungsperspektiven (Gottingen, 2010), pp. 619-641; and W. Jilge, ‘Geschichtspolitik in der Ukraine’, Aus Politik und Zeitgeschichte 8-9 (2007), pp. 24-30. 30 Cf. also the plenary debate on the motion for the resolution in the European Parliament on 22 October 2008, in which Helmuth Markov, the Brandenburg MEP from the party ‘The Left’, argued in favour of Russia: European Parliament. plenary debates. Strasbourg, 22 October 2008. 14. Commemoration of the Holodomor, the Ukraine artificial famine (1932-1933) (debate), www.europarl.europa.eu/sides/getDoc.do?type=CRE&reference=20081022&secondRef=ITEM-014〈uage=EN&ring=P6-RC-2008-0571, accessed 01.06.2011. 31 M. Lehti, M. Jutila and M. Jokisipila, ‘Never-Ending Second World War: Public Performances of National Dignity and the Drama of the Bronze Soldier’, Journal of Baltic Studies 39 (2008), pp. 393-418; K. Bruggemann and A. Kasekamp, ‘The Politics of History and the War of Memories in Estonia’, Nationalities Papers 36 (2008), pp. 425-448; K. Bruggemann, ‘Denkmaler des Grolls. Estland und die Kriege des 20. Jahrhunderts’, Osteuropa 58 (2008) 6, pp. 129-146. On the comparable tensions between Russia on the one side and Latvia and Lithuania on the other cf. the contributions from K. Wezel, A. Nikžentaitis and C. Scheide in the same issue of Osteuropa as well as D. Bleiere, ‘Overcoming the Communist and Authoritarian Past in Latvia: History and Monuments in the Political Discourse’, in: S. Troebst (ed. ), Postdiktatorische Geschichtskulturen, pp. 330- 404. 32 European Parliament resolution of 15 January 2009 on Srebrenica. Strasbourg, 15 January 2009, www.europarl.europa.eu, accessed 01.06.2011. On the mass execution in the UN protection zone, classified by international law as genocide, cf. Julija Bogoeva/ Caroline Fetscher, Srebrenica. Dokumente aus dem Verfahren gegen General Radislav Krstić vor dem Internationalen Strafgerichtshof für das ehemalige Jugoslawien in Den Haag, Frankfurt a. M. 2002. 33 On this see the website of the group: Reconciliation of European Histories. For a better understanding of Europe’s shared history, eureconciliation.wordpress.com, accessed 01.06.2011. 34 European Parliament resolution of 2 April 2009 on European conscience and totalitarianism. Brussels, 2 April 2009, www.europarl.europa.eu/sides/getDoc.do?pubRef=-//EP//TEXT+TA+P6-TA-2009-0213+0+DOC+XML+V0//EN, accessed 01.06.2011. The resolution was passed with 553 votes in favour, 44 against and 33 abstentions. A public hearing on the subject ‘European Conscience and Crimes of Totalitarian Communism: 20 Years After’ had taken place previously on 18 March 2009 in the European Parliament on the initiative of the Czech Presidency of the EU Council. The program of the hearing can be found on the website of the Hungarian Fidesz MEPs, http://fidesz-eu.hu/galeria/File/Invitation_18_March_2009.pdf, accessed 01.06.2011. 35 Y. Bauer, ‘On Comparisons between Nazi Germany and the Soviet regime’, undated, www.gedenkdienst.or.at, accessed 01.06.2011. On the state of historical knowledge on this issue cf. M. Geyer and S. Fitzpatrick (eds), Beyond Totalitarianism. Stalinism and Nazism Compared (Cambridge, 2009); J. Baberowski and A. Doring-Manteuffel, Ordnung durch Terror. Gewaltexzesse und Vernichtung im nationalsozialistischen und im stalinistischen Imperium (Bonn, 2006); D. Diner, ‘Gedachtnis und Erkenntnis. Nationalsozialismus und Stalinismus im Vergleich’, Osteuropa 50 (2000), pp. 698-708; D. Beyrau, ‘Nationalsozialistisches Regime und Stalin-System. Ein riskanter Vergleich’, ibid., pp. 709-720; I. Kershaw and M. Lewin (eds), Stalinism and Nazism. Dictatorships in Comparison (Cambridge, 1997). 36 H. Uhl, ‘Neuer EU-Gedenktag: Verfalschung der Geschichte?’ On the website: science ORF.at’, 21 August 2009, sciencev1.orf.at, accessed 01.06.2011. 37 G. Morsch, ‘Schlachtfeld EU. Wie der Jahrestag des Hitler-Stalin-Pakts fur einen erinnerungspolitischen Deutungskampf missbraucht wird’, Jüdische Allgemeine (20.08.2009), www.juedische-allgemeine.de, accessed 01.06.2011. 38 Parliamentary Assembly of the OSCE, Resolution on Divided Europe Reunited: Promoting Human Rights and Civil Liberties in the OSCE Region in the 21st Century, in: Vilnius Declaration of the OSCE Parliamentary Assembly and Resolutions Adopted at the Eighteenth Annual Session, Vilnius, 29 June to 3 July 2009 (AS (09) D 1 G), pp. 48-49, www.oscepa.org, accessed 01.06.2011. 39 Cf. on the wording, Katja Wezel’s contribution to this volume, and on the background E.-C. Onken, ‘The Baltic States and Moscow’s May 9th Commemoration: Analysing Memory Politics in Europe’, Europe-Asia Studies 59 (2007), pp. 3-46. However, US President George Bush had declared, during a stopover on 7 May 2005 in the Latvian capital Riga on the way to Moscow: ‘For much of Eastern and Central Europe, victory brought the iron rule of another empire. V-E Day marked the end of fascism, but it did not end oppression. (...) The captivity of millions in Central and Eastern Europe will be remembered as one of the greatest wrongs of history.’ Cf. ‘President Discusses Freedom and Democracy in Latvia’. Riga, Latvia, 7 May 2005, www.whitehouse.gov.edgesuite.net/news/releases/2005/05/print/20050507-8.html, accessed 01.06.2011. 40 The President of the European Parliament, 70th anniversary of the Molotov- Ribbentrop Pact. Brussels, 14 October 2009, www.europarl.europa.eu, accessed 01.06.2011. 42 House of Commons, Resolution to Establish an Annual Day of Remembrance for the Victims of Europe’s Totalitarian Regimes. Ottawa, 30 November 2009, www.blackribbonday.org, accessed 01.06.2011. 43 On the memory politics of the Russian Federation since 2008/09 cf., alongside the cited analyses of Wolfram von Scheliha and the contribution of Jutta Scherrer in this volume, see especially C. Kuhr-Korolev, ‘Erinnerungspolitik in Russland. Die vaterlandische Geschichte und der Kampf um historisches Hoheitsgebiet’, Neue politische Literatur 54 (2009), pp. 369-383 and J. Morre, ‘Die Erinnerung an den Zweiten Weltkrieg im heutigen Russland’, Jahrbuch für historische Kommunismusforschung (2011), pp. 253- 256; B. Dubin, ‘Soziologische Perspektiven auf das ‘kollektive Gedachtnis’ des heutigen Russland, in: S. Troebst and J. Wolf (eds), Erinnern an den Zweiten Weltkrieg. Mahnmale und Museen in Mittel- und Osteuropa (Leipzig, 2011), pp. 113-119; I. Scherbakowa, Zerrissene Erinnerung. Der Umgang mit Stalinismus und Zweitem Weltkrieg im heutigen Russland, (Gottingen, 2010); A. Vatlin, ‘Die unvollendete Vergangenheit: Uber den Umgang mit der kommunistischen Geschichte im heutigen Russland’, Jahrbuch für historische Kommunismusforschung (2010), pp. 279-293; Themenausgabe „Geschichtspolitik und Geschichtsbild”, Russland-Analysen Nr. 196 (12.02.2010), www.laender-analysen.de/ russland/pdf/Russlandanalysen196.pdf, access 29.06.2011; E. Zubkova, ‘The Filippov Syndrome’, Kritika 10 (2009), pp. 861-868; A. Roginski, ‘Fragmentierte Erinnerung. Stalin und der Stalinismus im heutigen Rusland’, Eurozine (02.03.2009), www.eurozine.com/articles/2009-03-02-roginski-de.html, accessed 29.06.2011. On the traditional lines of memory politics which shaped the memory of Stalinism and the World War from Leonid Brezhnev via Boris Yeltsin to Vladimir Putin, see B. Dubin, ‘Erinnern als staatliche Veranstaltung. Geschichte und Herrschaft in Russland’, Osteuropa 58 (2008) 6, pp. 57-65; Lev Gudkov, ‘Die Fesseln des Sieges. Russlands Identitat aus der Erinnerung an den Krieg’, Osteuropa 55 (2005) 4-6, pp. 56-73; B. Dubin, ‘Goldene Zeiten des Krieges. Erinnerung als Sehnsucht nach der Brežnev-Ara’, ibid., pp. 219-233. 44 A typical example of the concept of a ‘Russian nation’ (rossijskaja nacija) or the ‘multinational people of the Russian Federation’ (mnogonacional’nyj narod Rossijskoj Federacii), as it was termed in the constitution of 1993, can be found in the leading article of one of Medvedev’s advisers in the New Year’s edition of the Kremlin-backed newspaper Izvestija: V. Nikonov, ‘Ideja našej nacii’, Izvestija (30.12.2010-10.01.2011) 246/247 (28261), p. 7, www.izvestia.ru/comment/article3150213/, accessed 01.06.2011. 45 On this cf. ‘Russland kampft. Gesetz und Kommission gegen Geschichtsfalscher’, Osteuropa 59 (2009) 7-8, pp. 273-275; MEMORIAL, ‘Zur neuen Kommission beim Prasidenten der Russlandischen Foderation. Erklarung der Gesellschaft MEMORIAL. Moscow, 22 May 2009, ibid., pp. 277-278; and Wolfram von Scheliha, ‘Funf Jahre Haft fur Kritik an Stalin. Die russische Staatsmacht kampft um die Deutungshoheit uber die Geschichte’, in: Hoch und Guck (03/2009) 65, pp. 68-70. 46 Interv’ju Dmitrija Medvedeva gazete Izvestija. Gorki, 7 May 2010, www.kremlin.ru, accessed 01.06.2011. 48 Stenografičeskij otčet o zasedanii Soveta po razvitiju graždanskogo obščestva i pravam čeloveka. Ekaterinburg, 1 February 2011, www.kremlin.ru/transcripts/10194, accessed 01.06.2011. 49 A. Roginskij, ‘Erinnerung und Freiheit. Die Stalinismus-Diskussion in der UdSSR und Russland’, Osteuropa 61 (2011) 4, pp. 55-69, here pp. 66-69. 50 Study on how the memory of crimes committed by totalitarian regimes in Europe is dealt with in the Member States. Submitted by Prof. Dr. Carlos Closa Montero, Institute for Public Goods and Policy, Centre of Human and Social Sciences, CSCIC, Madrid, Spain (Contract No JLS/2007/C4/006). Madrid, January 2010, 480 pp. ec.europa.eu, accessed 01.06.2011. 51 European Commission: Report from the Commission to the European Parliament and to the Council: The memory of the crimes committed by totalitarian regimes in Europe (COM(2010) 783 final). Brussels, 22. 12. 2010, ec.europa.eu, accessed 01.06.2011. 52 Council of the European Union, Council conclusions on the memory of the crimes committed by totalitarian regimes in Europe. 3096th JUSTICE and HOME AFFAIRS Council meeting. Luxembourg, 9 and 10 June 2011, www.webcitation.org/5zO7mIFTb, accessed 01.06.2011. 53 The most recent and relevantly titled publications contain no reference to the establishment of 23 August as a European day of remembrance. Cf. pars pro toto C. Joerges, M. Mahlmann and U.K. Preus (eds), ‘Schmerzliche Erfahrungen der Vergangenheit’ und der Prozess der Konstituierung Europas (Wiesbaden, 2008); B. Strath and M. Pakier (eds), A European Memory? Contested Histories and Politics of Remembrance, (London, New York, 2010), M. Blaive, C. Gerbel and T. Lindenberger (eds), Clashes in European Memory: The Case of Communist Repression and the Holocaust (Innsbruck, Wien, Bozen, 2010). The same is true of the chapters on Europe in A. Assman, Der lange Schatten der Vergangenheit. Erinnerungskultur und Geschichtspolitik (Munchen, 2006). An exception that stands out is C. Leggewie and A. Lang, Der Kampf um die europäische Erinnerung. Ein Schlachtfeld wird Besichtigt (Munchen, 2011), which states that ‘the memory of 23 August 1939, when the pact was concluded between Hitler and Stalin’ belongs ‘no longer just to the margins’, but to ‘a truly Europeanised politics of memory’ and ‘a pan-European history narrative’ (p. 11), and where the content and results of the resolution of the European Parliament of 2 April 2009 are described (p. 192). Cf. also ibid., pp. 58, 65, 68 and 77-78, and id. : ‘Schlachtfeld Europa. Transnationale Erinnerung und europaische Identitat’, in: C. Bieber, B. Drechsel and A.-K. Lang (eds), Kultur im Konflikt. Claus Leggewie revisited, Bielefeld 2010, pp. 29- 44, with commentaries from W. Schmale, S. Troebst, H. Uhl und S. Kattago, in: ibid., pp. 45-64. 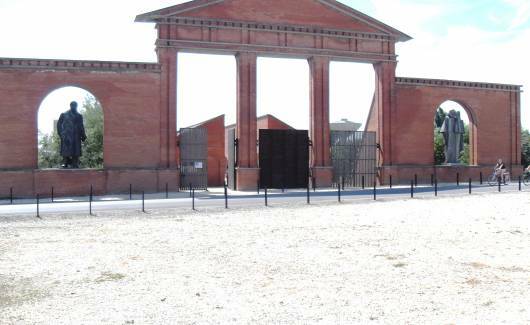 It was no coincidence that Leggewie participated as an expert in the ‘Study on how the memory of crimes committed by totalitarian regimes in Europe is dealt with in the Member States’ of 2010 commissioned by the EU Commission and cited above. Poland’s decision to reject the Soviet demands as regards the Red Army passage did not matter from the perspective of Stalin’s motivation, yet it awarded him a pretext used by Soviet propaganda and historiography. “Once it became obvious that Hitler pushes for a war, France and Great Britain tried to set up a front to counter the aggression and sent a delegation to Moscow so as to agree a programme for cooperation. The Soviets did not exclude a possible agreement, saying that they could accept the proposal under the condition that the Red Army troops (...) were allowed to move through Poland. Proud and suspicious, the government in Warsaw rejected the idea and the Soviets interpreted the response as a manifestation of distrust towards them. 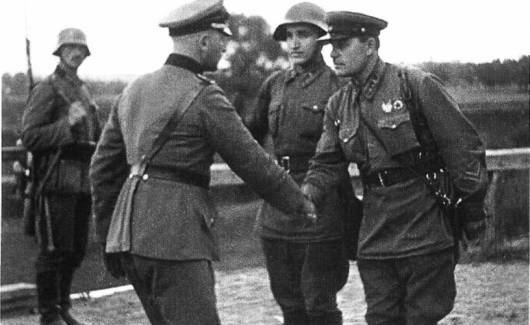 There might not have been any Ribbentrop-Molotov pact (and maybe the Second World War, either), had the Poles not believed so much in their own ability to counter the German troops. As regards the Soviet entry into Polish territory, the Soviet decision was understandable. Since Poland, as Germany intended, was to disappear, why would Russia not restrict the German expansion by taking a slice of the country for itself?” Such are the reflections presented a few days ago in the “Corriere della Sera” daily by the Italian writer, journalist and diplomat Sergio Romano. Unfortunately, the successive “round” anniversaries of the outbreak or end of the Second World War make that old Soviet idea recur. Let us recall the fact then. In the night from 11 to 12 August Allied military delegations arrived in Moscow to hold talk with the Soviets (the British headed by Admiral Drax and the French by General Doumenc), which meant that the efforts to negotiate a tripartite alliance treaty between Great Britain, France and the USSR entered into the decisive phase. The leader of the Soviet delegation in the Moscow talks Marshal Voroshylov demanded the use of Polish and Romanian territories for fighting with the Germans. He stated that as the USSR did not share a border with Germany, the Red Army was unable to take part in the war and deliver on the commitments it had made. On 18 August, the ambassadors of France and Great Britain to Poland presented the issue to the Polish government in Warsaw. The Soviet demands concerning the Red Army “passage” through Poland and Romania were an unambiguous proof that the Soviets wished to break off the negotiations with the Allied Powers, as it would have been inconceivable to imagine that the Polish reply would be anything but negative. And indeed, such was the Polish stance communicated to the ambassadors of the Allies several times between 18—22 August. Already on 19 August, a German-Soviet economic treaty was signed in Berlin, and von Ribbentrop was invited to Moscow a week later. On Hitler’s personal request to Stalin, the hastened trip took place as early as 23 August. The talks in Moscow resulted in the well-known agreement concerning the division of the “spheres of interest” in Eastern Europe between both totalitarian powers. To satisfy the Soviet demands would have been tantamount to an agreement to have the east of Poland occupied and a death sentence voluntarily signed. Upon the Soviet entry on Polish territory, Poland would have lost independence just as the Baltic States had lost theirs: having let in the Red Army in October 1939, they were unable to put up resistance in June 1940. Poland’s decision to reject the Soviet demands as regards the Red Army passage did not matter from the perspective of Stalin’s motivation, yet it awarded him a pretext used by Soviet propaganda and historiography. Currently, the propaganda of Putin’s Russia makes use of such ideas. In Russia, history was and still is a political tool. What remains more striking is the fact that the Soviet version of the interpretation as to the reasons for the outbreak of the Second World War keeps finding believers outside Russia. In the summer of 1939, the Soviet Union and the German Reich, two totalitarian powers, struck an agreement. Although it would not be long-lasting, it was definitely real. The Polish government could be nothing more than a passive observer of the developments. No Polish policy was able to take the Soviet authorities away from their intention to pursue cooperation with Germany in order to secure new territories in Eastern Europe. No Polish policy was able to prevent the Ribbentrop-Molotov pact, or to change the inevitable course of the events leading to the war.